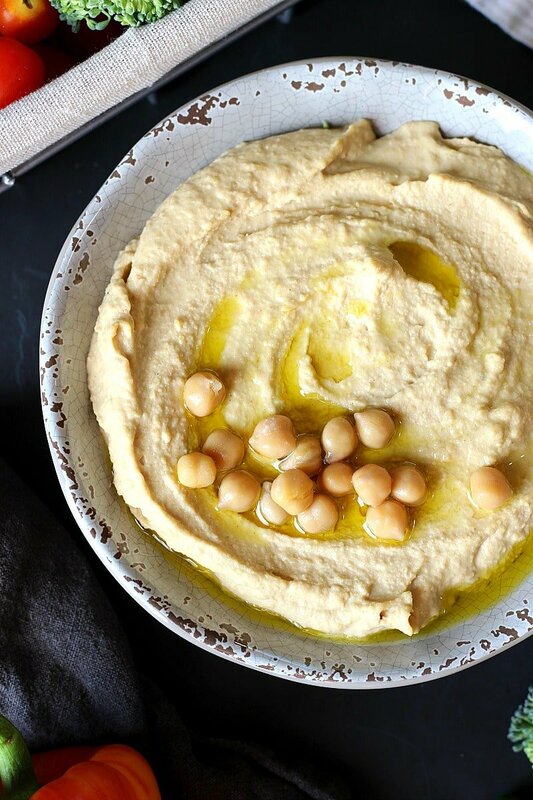 This original hummus recipe is ultra creamy with settled flavors that are easy to like. 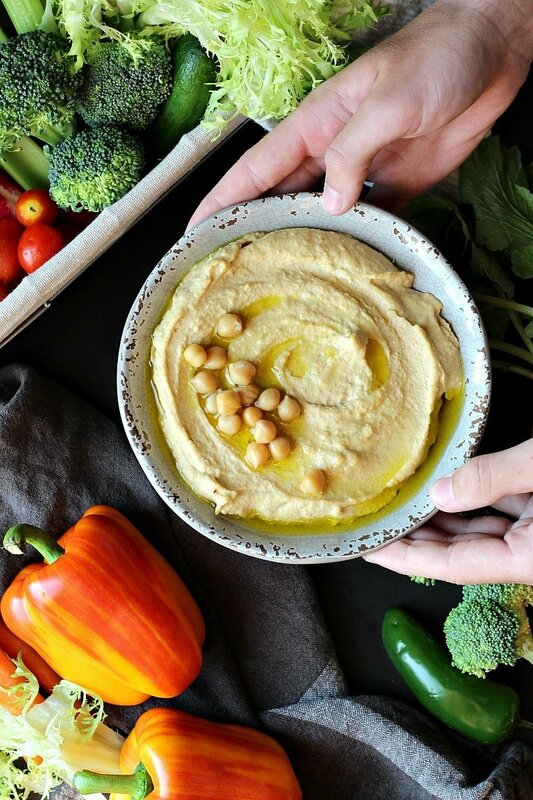 Make this hummus your one way ticket to better eating, more nutrition and great health! Sometimes even a big veggie eater can use a little something spreadable to help nibble down a pile high of delicious crunchy veggies. Vegetables is something you can never eat enough of, in fact I have yet to hear otherwise or learn about a diet that restricts the consume of veggies. Hmmm… nope! If I could tell you one thing -and ONE thing ONLY- it would be to eat your veggies, more then anything else, in every shape, color, taste. Just eat them! Off course, growing up in a small village in Brazil my meals where heavily focused on seasonal vegetables, mostly grown locally by family farmers. So for me this was more then a matter of choice, it was a way of life. Nowadays I am very passionate about growing my own vegetables as religiously devote a big portion of my plate for them to shine. 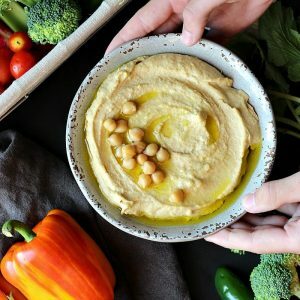 Love Hummus? Try these favors today! If eating veggies is your personal struggle, let me help you find the joy! At what point did veggies get such a bad reputation? I honestly thing that all vegetables taste amazing and quite addicting too! But I get it, there is a real resistance to eat these colorful things that makes us feel so good. That’s when Hummus come in! Because there is a tremendous satisfaction in dipping a broccoli floret into a tub of smooth creamy hummus, like no other. In fact, the dipping obsession goes far beyond hummus. I’ve seen it! People loooooove the dipping factor associates with food, some of us (double dippers, haha) more then others. So if you are going to dip your healthy crop, find something just as good to dip it in! 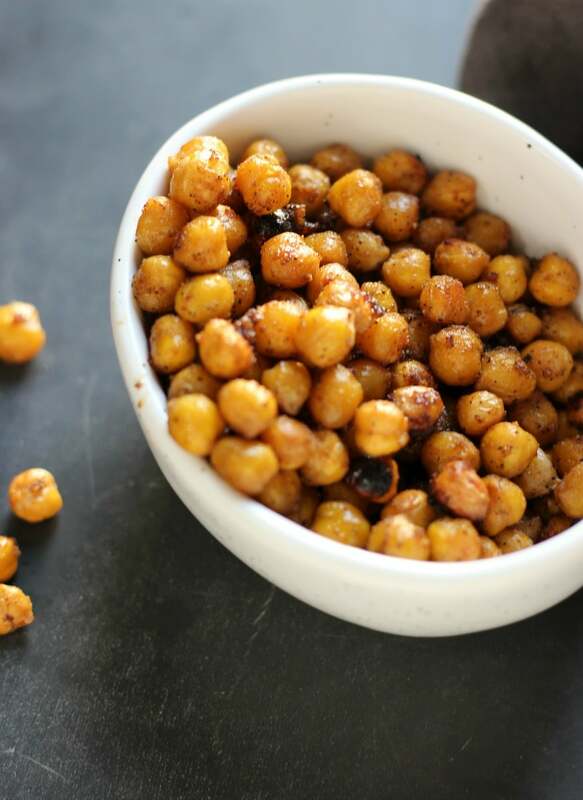 Make this Spicy Roasted Chickpeas your new favorite snack! And what better way to get the kids interested in eating more veggies! Kids will likely eat something that looks fun and colorful. 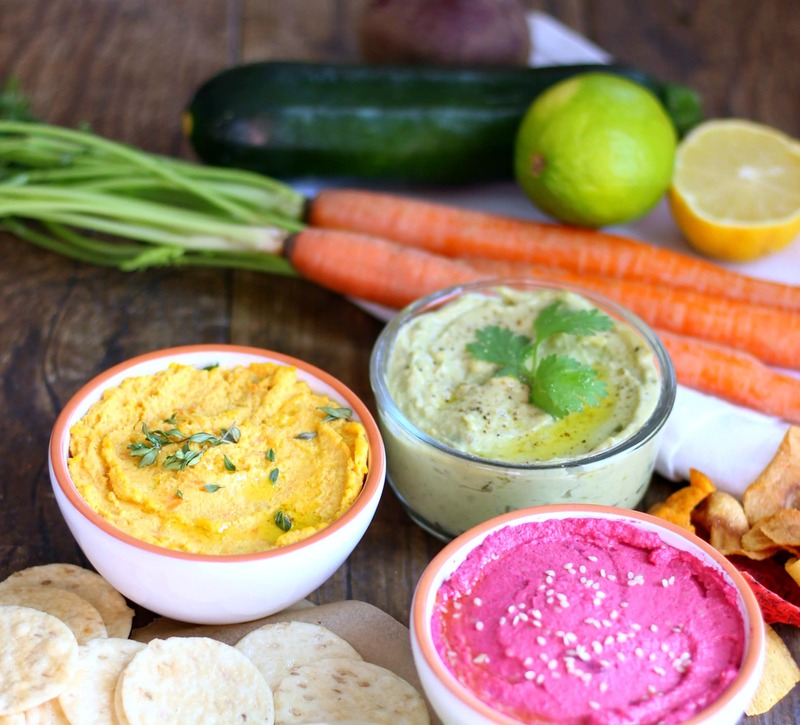 Mix and match a few veggies with fun shaped pretzels, apple slices and hummus for a total snack bonanza! Add all the ingredients to a high power blender (I used a Vitamix) and work it until hummus is creamy and smooth (about 3-5 minutes). Pause if there is a need to stir the ingredients. Add water if the consistence is too thick. I recommend that you store the hummus in a glass container with a silicone top to keep it fresh longer. 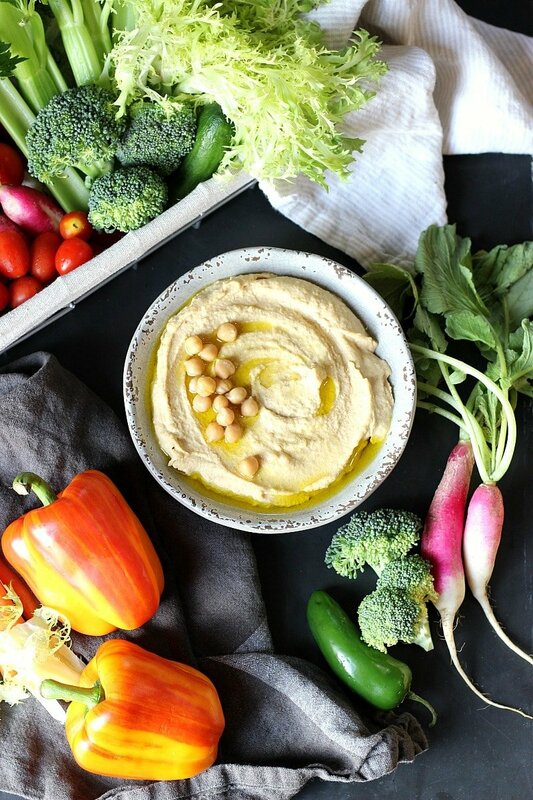 When ready to use, pour the amount you want to eat and share in a bowl, top with oil and chickpeas and serve alongside fresh veggies, chips or use it in your favorite wraps.